"Nicholas brought a level of consultation and effort to an extremely high point, and set the bar where it won’t be exceeded. Nicholas truly is a 5 star real estate agent." Nicholas's clients will attest he is a strong negotiator, while consistent in closing transactions in a timely and efficient manner. 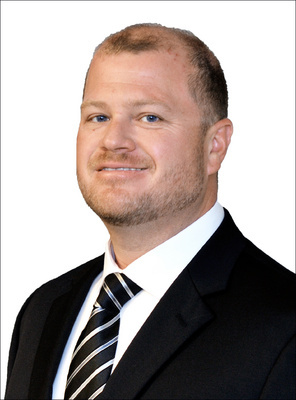 As a year-round real estate professional, he is readily accessible while always an advocate for your best interests! A resourceful and experienced real estate professional with a passion for working with buyers and sellers alike; he is focused and efficient at finding you the "right" home. Through his direct and thorough approach, he can best understand your needs, which allows him to introduce you to properties that match your expectations. I’m writing you to share the extraordinary experience my wife and I recently had while searching for a home in South Florida. It started with a typical email inquiry one Saturday morning from my home in New York. After communicating with Nicholas Klein a few times that day, I decided to purchase plane tickets to that he could me around and start looking at available Intracoastal properties. After my second day with Nicholas, I felt educated in Florida waterfront properties in so many way (island side, main land, exposure, beach access, security, and much more). Nicholas is truly one of the best communicators I have ever dealt with. He started texting me answers to my questions before I texted him with the question. My original plan was to have my relocation department refer me to one of the many Leading RE brokers that I know very well, but I cancelled that shortly after meeting Nicholas and I’m so very glad that I did. My business is Real Estate and as owner of a 1,000 agent, 30 office firm, I’ve worked with a lot of agents and know what to look for when selecting an agent. The transaction itself should have been easy, but like many it quickly became complicated because of estate issues and lawyers. I was told that the seller could not transfer title without a court order. Most buyers would have walked at this point but Nicholas assured me that there were options to fix this quickly. He was in constant communication with the estate’s two or three law firms, the Curator and my attorney. In summary, Nicholas brought a level of consultation and effort to an extremely high point, and set the bar where it won’t be exceeded. Nicholas truly is a 5 star real estate agent and represents your firm incredibly well. I will without hesitation recommend Nicholas Klein to everyone that I can. "My family and I were looking for a real estate agent in Boca Raton, and Nicholas Klein came highly recommended to us. We were living in SC at the time, an had little time to buy a house and move to Boca Raton. From the moment Nick and I started exchanging emails, I knew he was the agent I wanted to represent me on the purchase of our home. Having been a real estate agent in SC myself, it was easy to realize that Nick knew his stuff! He was very through, gave me all the information I asked for and was proactive. Once we started looking at homes, not only did he listen to what I was looking for in a house, but presented me with options I was thrilled with. Like many homebuyers do, we changed our minds several times on location and he helped us put our priorities in place. Needles, to say, we ended up buying, what we think, is the perfect house for our family. If it wasn’t for Nick, I don’t know if we would have been able to make an offer, buy a house and move in in a record 18 days!! Thank you Nick, you ARE the best real estate agent ever! "I have dealt with a number of real estate’s over the years but when it came to selling our home in Atlantis, Nick Klein with Waterfront Properties went above and beyond. In addition to the suburb marketing skills of Waterfront Properties Nick made a point to follow through on every detail throughout the entire transaction. As an out of state home owner Nick even kept an eye on our home through Hurricane Irma. He made sure all was buttoned up and went through right after the storm to make sure there were no damages. All this in the middle of securing his own home and family. We highly recommend Nick Klein from Waterfront Properties! "Having been in commercial real estate myself for over 30 years, I have dealt with many brokers but not many like Nick who had extensive knowledge of the market, a positive temperament, and good attention to detail. It took over two years from the time Nick and I first spoke until we actually closed on a unit in Boca Raton. We weren't ready to sell at first, but Nick patiently followed up with us periodically and when it was time to sell our condominium in Hollywood, we decided to give Nick a chance and he didn't disappoint. Even after we decided to rent for a while to see if we liked downtown Boca, he stayed with us and kept us abreast of the market and other markets that fit our lifestyle. Eventually, we found a great fit and Nick made sure the deal got done in a smooth fashion despite having to deal with a seller that was not easy to deal with. His expertise made our transition easy and enjoyable and I would highly recommend Nick to anyone looking to buy or sell real estate. "We are writing this testimonial for Nick Klein. We have done three transactions with him throughout the years and he has shown professionalism, strong organizational skills and a genuine care for his job and his family. We wish him many more years of continued success and tenacity.